All of our teachers are registered Music Together teachers, and are accomplished musicians who have experience working with young children. 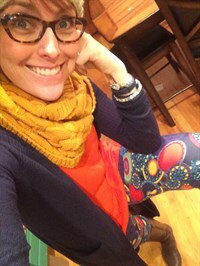 Owner,Director, and Teacher, Rebbecca Oppedisano, B.A. in music education, M.A. 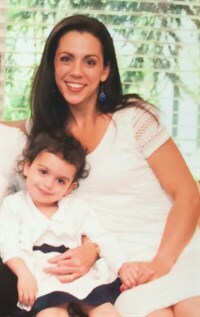 in education, is a mother of three young boys and an experienced elementary school music teacher. She studied at the Crane School of Music (SUNY Potsdam) and taught elementary general music and chorus for several years. Rebbecca has sung with the Syracuse Chorale and is currently a member of the Syracuse Opera Chorus. In 2012, Rebbecca was awarded Music Together Certification Level I by the Center for Music and Young Children in Princeton, NJ. She was awarded the MAKERS award by WCNY for excellence in Arts in 2014. 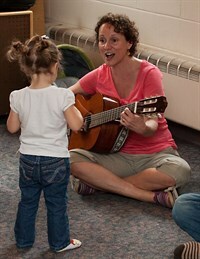 She has taught music at several local pre-schools and has been teaching Music Together since 2007. Rebbecca loves sharing the Music Together program with her community! Kate Hinman is a bass player and stringed instrument teacher as well as a music together teacher and a mother. She earned her bachelors degree in music education at Ithaca College and her masters degree in music education at Syracuse University. She worked at the Liverpool School district for several years, teaching elementary and high school orchestral programs. She continues to maintain a private studio, teaching violin, viola, cello and bass lessons. Kate is now a full time mom to her three young children who have been enjoying Music Together classes for years. Toni Carrington is overflowing with joy for her long awaited return to Bluebird Music Together! She studued vocal performance at Loyola University (New Orleans) and the American Music and Dramatic Academy (New York City). She has appeared around the US in national tours, regional theaters, cruise ships, and has been seen locally singing with the Syracuse Opera. She became the mother to Oscar (the magificent) in 2013, started Music Together with him at 6 months and has been hooked ever since! 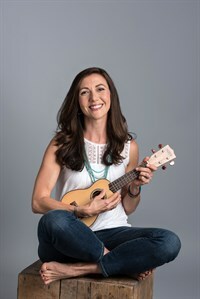 After a little more than a year away she looks forward to sharing her renewed energy, enthusiasm, and love for music with new and returning Music Together families. Hooray, Tra la!! Carol Bryant has been teaching music to people of all ages for more than 30 years. 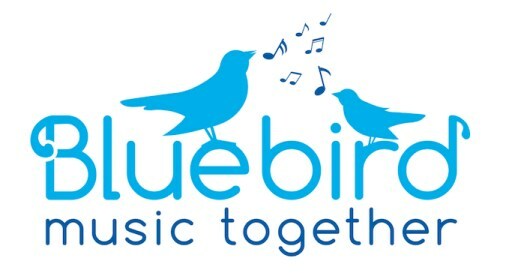 She joined the Music Together family in 2010, when she opened Bluebird Music Together, which served families in Auburn, Camillus and Skaneateles, and became a part of Green Lakes Music Together in 2014.Carol is a certified Music Together Level I teacher and also holds NYS Certification in Public School Music, K-12. She taught public school choral music in the Jordan-Elbridge and Westhill school districts for 13 years, then went on to a second career in arts and non-profit management. From 1995 to 2010, she held positions with the Syracuse Symphony Orchestra, the Syracuse Children's Chorus, the Skaneateles Festival, and Jowonio, an inclusive pre-school serving many children with special needs. Carol is a versatile performer, with professional credits as a jazz, classical, and musical theater vocalist. She is a member and Assistant Director of MasterWorks Chorale and leads her own jazz group, The Carol Bryant Trio. She is also the proud grandmother of 13 kids who love music! Tracy is beyond is excited about joining the Music Together family. Her music career began at the age of five when she began performing in musicals and operas in her hometown of Detroit, MI. Tracy attended Cincinnati College Conservatory of Music and The Cleveland Institute of Music where she earned her BM as a vocal performance major. Immediately following, Tracy began performing professionally and soon became a proud member of Actor's Equity Association. Tracy traveled the country performing at some the most respected regional theatres in the US. Tracy also spent a few years performing on cruise ships where she had her own cabaret act, and performed as the lead singer in the main stage shows. Now she is performing locally at Merry Go Round Playhouse and is a member of the Syracuse Opera Chorus. Although performing has always been a deep passion, Tracy's first love has always been family. Tracy's greatest joy comes from singing with her 2 beautiful children and she can't wait to explore the music world with yours. Kalli Essig is thrilled to join the Music Together family! She is a K-4 vocal and general music teacher for Jamesville Dewitt School District. Kalli received a Master of Music Education from Syracuse University and a Bachelors of Music Education and Performance in Flute from SUNY Fredonia. In 2014, she received Kodaly certification from the Hartt School of Music under the instruction of John Feierabend. Kalli also attended Eastman School of Music to study Orff levels 1-3. She plays flute and piccolo with the Onondaga Civic Symphony. 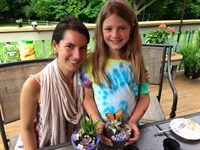 Native to Pittsburgh, Kalli now lives in Fayetteville with her husband and daughter. She is an avid hiker and traveler. 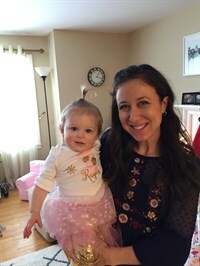 Amy received her Bachelor of Music from Syracuse University in 2009 and is working toward her Masters in Music Education. As a former Music Together parent she is thrilled to have the opportunity to dance, sing, play and make music with other families - bringing the joy she and her daughter also experienced in these classes to others. She teaches piano and yoga, directs a choir with Syracuse Children’s Chorus, works for St. James and St. Joseph's church as a cantor and is the Assistant Director for Human Resources at Le Moyne College. She is also involved in community theatre, including the following credits: Chicago (Hunyak); Triassic Parq: The Musical (Mime-o-saurus) SALT nominee for Best Supporting Actress in a Musical; Star Wars: The Musical (R2-D2); Disenchanted (Cinderella); and H.M.S. Pinafore.